How you can lose by outsourcing to cheap web/graphic designers? In this sluggish economic climate, cutting costs by outsourcing web/graphic design to low-wage countries is a smart move right? After all, thanks to the Internet, accessing the global pool of skills has never been easier. In fact, there are websites that let talented individuals from low-wage developing nations fight for your money on the table through web/graphic design competitions. This is indeed a boon for small business owners like you, right? If you are not careful, you may end up shooting yourself on the foot. There are subtleties involved. And if you are not clear on what you want or need, it can cost you more in the long run (i.e. false economy). Actually, false economy is not the worst of what can go wrong. What’s worse than wasting your money is to undermine the mission of your business. Template Grabbers: These are ‘designers’ who grab website templates (e.g. WordPress themes) from the web and pass that off as their ‘design’ work with little or no design customisations. Nowadays, website templates look very professional and pretty, even the free ones. One sign that you are dealing with a Template Grabber is an offer that is incredibly cheap and/or extremely short turnaround time. Pretty Makers: These designers are much better than Template Grabbers. They are highly talented at making pretty pictures and websites. Obviously, they cost more than the Template Grabbers. But that’s all they offer: creating good-looking graphics and websites according to your design brief. If you’re lucky, you may get one that goes beyond merely ‘good-looking’ to ‘awesome-looking’. But no matter how awesome they are, you have to know what you want because you are the one responsible for coming up with the design brief. Brand Identity Consultants: They are far more than just mere designers. They work differently from designers. Instead of telling them what you want your design to look like, you tell them about your business. More specifically, they want to know your business’s ethos, mission, vision, philosophy, etc. Then they come up with the visual design and communication strategy for your business, which includes the web design, logo, marketing collateral, stationery, business cards, etc. In other words, they work on developing the visual aspect of your business’s identity. Cultural differences may mean that what is acceptable or appropriate in their home countries may not be so in your country. So, the responsibility is on you to spot what is culturally wrong in their design. Blended in– pretty pictures does not automatically make your website stand out. There are lots of pretty website templates on the Internet. Some of them are even free! One common complaint business owners have is that while their outsourced designers have produced something pretty, they look very similar to all the other websites. If you are trying to build a brand (which is crucial for success in an ever-increasingly crowded Internet), a pretty website that blends in with all the others will turn your business into a commodity. Mis-communication- since you are the one responsible for giving the orders, you better make sure they are the right ones. Even if the designer can create something very pretty from your requirements, it may still send the wrong message to your customers. That can happen when the requirements that you give to the designer is inappropriate to the ethos of your business. This will be very damaging to the brand of your business. Check out on your competitors– Consultants actually study your competitors to make sure that whatever visual communication designs they come up with, it is not going to blend in with the others. In other words, they make sure your business stands out. Ensure cohesion- Consultants also make sure that all the visual aspects of your business (e.g. website, name cards, email signatures, marketing collateral, stationery, letterhead, business cards, packaging etc) presents a cohesive and united visual message to the outside world. On the other hand, mixing and matching multiple cheap outsourced talents runs a big risk of sabotaging the consistency of your business’s image. So, cutting costs by outsourcing web/graphic design to low-wage countries may seem like a smart move. But if you don’t know what you are doing, you may actually be undermining your brand in the long-run and turning your business towards a commodity business. 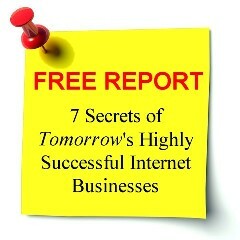 As I quoted Robert Kiyosaki in Secrets of Tomorrow’s Highly Successful Internet Businesses,”If you are not a brand, you are a commodity”. Posted in Strategy and tagged brand, graphic designer, outsource, web designer.